Despite the European legislation and its Timber Regulation (EUTR) that is supposed to moralize commercial practices, the teak market remains strongly suspected of illegality. We are talking here about natural teak, that still comes from forests located in the most famous production basin in the world: Burma or Myanmar. Even the Burmese government recognizes that "the creeping risk of fraudulent exploitation is still not ruled out, especially in the Bago Mountain Range" , a region known for hosting some of the world's finest teak stands. 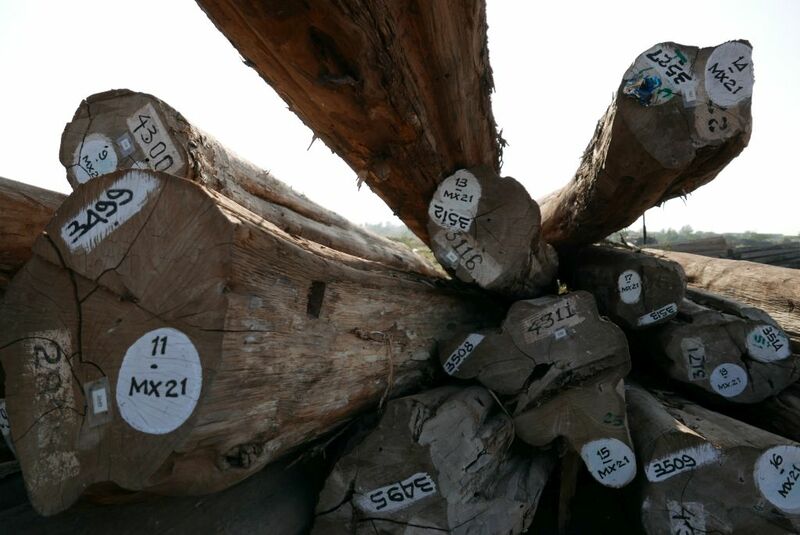 In April 2014, under international pressure, the Burmese government banned the export of teak logs from its territory. Myanmar Timber Enterprise (MTE), a state-owned company, was responsible for organizing the collection and sale of the required teak volume to run the local processing industries. These public auctions take place every month (mostly from October to March) on a large log yard in the Yangon suburb (formerly Rangoon) where the woods are grouped together. The export ban has had at least two concomitant consequences: the drastic fall in official trade in teak logs on international markets and, at the same time, a surge in the price of raw materials. "For the past 5 years, teak prices have been rising," says Yan Shin, director of Myit Makha Wood Based Industry, a furniture and furniture component manufacturing plant in an industrial district in Yangon. In fact, soaring log prices are impressive. On some intermediate qualities, tariffs have taken 50% since early 2016 (see table below). The same upward trend is affecting the domestic market for teak sawnwood. "The boards I bought on the basis of $ 4,600 / ton in 2015 are worth $ 5,000 / ton today. " The owner of a small shipyard on the banks of Inle Lake, Ko Shwe Oo thinks this rise will continue in the coming years, the administration in charge of forestry and harvesting are not able to fill effectively the domestic demand. Another problem is shaking the opaque world of wood in Burma. "For the last two years, the EUTR has been imposing administrative hassles on us, resulting in a host of documents to ask our administration," says Tommy Min Thein, who heads Lin Win Factory in Yangon. "While I can sell my teak furniture in 1 week in Asia or 2 weeks in the USA, it takes me at least 6 weeks in Europe! " This leader admits that for 2 years, his turnover has fallen by 80% with the EU. But that does not seem to bother him, teak is a rare and a precious commodity appreciated everywhere else in the world. Finally, a question taunts him and he asks us with a malicious smile. "Why is the EU looking for baffles in our small country as it accepts Chinese wood products of dubious source? " All the timber professionals surveyed in Burma admit neither the EUTR nor the ban on log exports prevents a majority of Burmese teak to cross the Chinese border, Thai or Indian illegally by road.